On 7 June 2017, the Microsoft Corporation held a Government Industry Day at Belarus’s Hi-Tech Park with the participation of both Belarusian ministers and Microsoft experts. The seminar addressed issues surrounding the digital transformation of the economy and aimed to present technologies that could work for the finance, transport, health, education, and other economic sectors to the Belarusian authorities. IT has become the fastest-growing sector in the Belarusian economy, increasing by over 20% annually. However, the nature of the industry in Belarus, which focuses on outsourcing, primarily targets foreign customers. This is partially due to the reluctance of the Belarusian state to embrace tech achievements at home. Given the limited growth potential of outsourcing, Belarusian IT needs to shift from software services to production, as well as increase local consumption. These processes require economic liberalisation – including venture legislation and favourable investment conditions – larger number of specialists, and modernised national tech management. On 12 June 2017, the number of Hi-Tech Park residents reached 181. Last year, HTP revenue nearly reached $1b – a huge leap from $22m in 2007. The World Bank’s Doing Business 2017 index ranked Belarus 37th due to its good outsourcing conditions. However, outsourcing may soon reach its apex, given Belarus’s limited human resources and the world’s spending on outsourcing. The outsourcing-dependent IT sector sells ‘brains’, thus letting most income go abroad; it may also become less economically attractive after HTP tax exemptions terminate in 2020. On the other hand, the presence of global outsourcing companies fosters the development of Belarusian IT infrastructure, thus increasing the productivity and stability of the IT sector and reducing risks and costs. It also sustains a labour market with a number of wealthy and skilled professionals who receive wages significantly higher than the average. What’s more, many outsourcing companies are now moving beyond software services. For instance, EPAM Systems, owned by Belarusian businessman Arkadź Dobkin, has expanded its focus to product development in such areas as medicine, media, and banking. At the moment, out of a total of over a 1,000 IT companies operating in Belarus, only 10-15 per cent create their own products. Nevertheless, product software remains the most promising direction, as ready-made projects earn more than services. In particular, Belarus will benefit from companies that create machine learning and artificial intelligence products – fields which will dominate the tech industry in the near future. Software producers, however, are encountering problems finding specialists in such spheres as marketing and product management. Dominated by outsourcing, Belarus has so far failed to create the necessary job market for software producers. Last week, Wargaming, a game developer with Belarusian roots, began a liquidation process at its London ‘mother’ company. Belarus’s richest product developer, famous for the game World of Tanks, now faces serious business stagnation. Nonetheless, Wargaming recently opened a mobile division in an attempt to reorient its functioning. 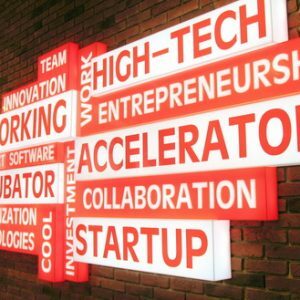 Other Belarusian startups also remain active and receive foreign investment. This year, the mobility company Gett acquired the Belarusian-Israeli startup Juno, while the public company Globant acquired PointSource. Other promising startups include DroneX, which develops custom-made Unmanned Aerial Vehicles, Blinger – an app that allows communication via multiple platforms, the trip-planner Eightdays.me, and an emotion recognition app called NeoSound. These projects have already been noticed internationally and have high chances of becoming successful. In a recent interview, Ivan Michnievič, a co-founder of Wargaming who left the company in 2014, described the state policy towards business as ‘short-sighted’. Belarus barely invests in IT and has complex legislation for the IT business. State investments in R&D have been declining since 2011, never exceeding 1 per cent of GDP. This consequently reduces Belarus’s ability to retain regional leadership in the current technology race. During the conference IT Spring 2017, various speakers discussed investment problems in Belarus. Not only do specifics of legislation prohibit venture funds, they also fail to protect the investor. Belarusian law neither secures investor’s property rights nor protects him or her from employees transitioning to competitors. What’s more, occasional arrests and administrative punishments of shareholders and managers for violations of economic and bureaucratic procedures frighten off potential investors. The government, which is incapable of scraping together national funds to support IT, should at least allow venture funds and amend legislation to attract more investment. As for advertising, Belarusian legislation stipulates complex bureaucratic procedures. For example, paying for advertising services of foreign sites (such as Facebook, GooglePlay, or Apple) involves a 35% tax on non-resident services comes, making advertising from Belarus highly unprofitable. Lastly, the reason why Belarus lacks many major corporations is the country’s image. 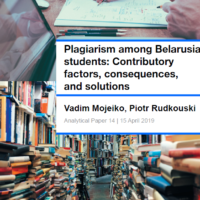 In order to attract companies like Microsoft or Facebook, Belarus should cultivate a positive image in foreign media; this requires political will rather than large amounts of money. Lack of domestic consumption remains a challenge for the Belarusian IT industry. State companies which have their own tech specialists remain unwilling to move on to a new type of technology management. Beside being insufficiently informed about the opportunities offered by the IT industry, officials have no real interest in the tech-supported success of state-owned businesses. Arkadź Dobkin expressed his readiness to work in Belarus provided that the customer has a sincere interest in the result and ‘wants to be your real partner, and not a boss on a high chair’. If Belarusian manufacturing and agricultural giants make better use of Belarusian IT services, this will eventually benefit both sides, improving the country’s economy overall. Moreover, Belarus should address IT education, as the current level of IT training does not meet requirements. To increase its supply of professionals, Belarus could attract specialists from neighbouring countries by offering special visas or residence permits, reducing payroll tax, or providing other benefits. On the other hand, the state must maintain a balance in the way it treats the IT sector. At the moment, IT specialists receive significantly larger salaries with many tax benefits; these are unavailable to the rest of the working population. Excessive attention to IT could contribute to the creation of a distinct labour elite, which brings inequality and division to society. The authorities should pay more attention to other spheres, such as education or health, regardless of the profit they bring. Thus, provided the state implements legislative changes, the ICT sector will grow faster, bringing more companies, revenue, and technological advancement to Belarus. However, in order for ICT not to become overly exclusive and divisive, the sector should work out a way to directly benefit the Belarusian economy and society. This article is a part of a series of publications on IT sector in Belarus supported by VP Capital. On 6-7 May, Moldova’s Prime Minister Pavel Filip held a supercharged working visit to Belarus, meeting with the country’s top officials, kicking off several events, and discussing a wide range of issues, from trade to culture. Despite serious recent setbacks in bilateral trade, Moldova remains an important economic partner for Belarus in the post-Soviet space. Unlike Russia, Belarus has no problem with Moldova's geopolitical orientation towards Europe, instead trying to use this factor to its advantage. Will the recent election of the pro-Russian politician Igor Dodon to the Moldovan presidency affect the two countries’ economic cooperation? Pavel Filip received a warm welcome from President Alexander Lukashenka in Minsk. The Belarusian leader thanked ‘brotherly Moldova’ for explaining to ‘some zealous politicians in Europe what Belarus is and what our policy is’. Lukashenka promised to keep Belarus’s market open to products from Moldova, provided they adhere to high-quality standards. Belarusian and Moldovan officials discussed trade and economic cooperation in detail during the 18th meeting of the joint intergovernmental commission. Filip also attended the BELAGRO agricultural trade show in Minsk. Twenty-two companies from Moldova promoted their wine, fruit, and vegetables at a 100-sq.m. stand dedicated to Moldova and sponsored by the Belarusian government. The Moldovan Prime Minister also held a meeting with his Belarusian counterpart Andrei Kabiakou; they emphasised cooperation in the spheres of building and road construction, agriculture, and industrial assembly. 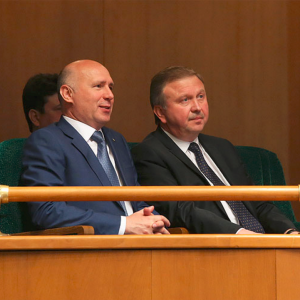 The two officials also kicked off the Days of Moldovan Culture in Belarus. Despite their relatively strong economic ties and shared history in the Soviet Union, there have been relatively few high-level contacts between the two countries’ executive authorities since their independence. Alexander Lukashenka visited Chisinau in August 1995 and received his Moldovan counterpart Petru Lucinschi in Minsk in June 2000. Later, after two visits to Minsk by former Moldovan Prime Minister Vasile Tarlev in August 2001 and October 2005, there was a nine-year hiatus in high-level interaction, not counting irregular meetings on the sidelines of CIS summits. Finally, Lukashenka returned to Chisinau in September 2014 followed by Andrei Kabiakou in October 2016. Nicolae Timofti, the then Moldovan President, paid an official visit to Belarus in July 2015. Interestingly, this reinvigoration of high-level contacts between Belarus and Moldova is happening against a backdrop of worsening relations between Chisinau and Moscow. In 2013-2014, Russia, unhappy with Moldova’s decision to enter into an association agreement with the European Union, introduced a ban on imports of Moldovan wine, fruit, and fruit and vegetable preserves. In 2014 in Chisinau, Lukashenka reassured the Moldovan public that the signing and ratification of the association agreement would not affect the latter's relations with Belarus: ‘Don't dramatise… We need to create new forms and look for new ways of cooperating’. Indeed, Belarus opened its market to Moldovan food products. Thus, in 2014, the imports of apples from Moldova to Belarus increased more than eleven-fold compared to 2013: from 5,600 to 63,900 tonnes. A large part of these Moldovan apples surely found their way to the forbidden Russian market. Total imports from Moldova to Belarus subsequently grew dramatically: from $91.8m to $149.6m. ‘During a gruelling time for us, Belarus has extended a helping hand in a very open, sincere, and friendly manner, for example, a few years ago, when we had some problems with some markets in CIS countries. We will not forget it’, Pavel Filip said about that period at his recent meeting with Lukashenka. Will the golden age in trade return? The golden age for trade between Belarus and Moldova lasted several years during the early 2010s and reached its peak in 2014. Last year, the turnover returned to its 2007 level. In 2016, Belarusian exports to Moldova reached their lowest point in the last decade. The turnover continued to fall in the first quarter of 2017, contracting by 35% to the same period of the previous year. However, Belarusian officials are encouraged by increasing exports (up by 52%). Belarus exports several dozen product groups to Moldova: petroleum and chemical products, tractors, motor vehicles, ceramic tiles, and glass fibre dominate exports. Imports are essentially limited to fruit and vegetables (fresh and preserved), wine, and spirits. Petroleum products amounted to over half of Belarusian exports to Moldova in the peak years of 2013-2014. However, the abrupt drop in supply in 2015 upset bilateral trade. Nevertheless, it is fair to note that the sales decrease affected most product groups including tractors, the second-largest export group in trade with Moldova. Currently, eighty-seven companies operate in Moldova with the participation of Belarusian capital, including flagship projects of knockdown assembly plants of Belarusian trolleybuses and tractors. Now, the Belarusian government is hoping to launch a knockdown assembly plant of Belarusian MAZ buses in Chisinau in late 2017. Will Lukashenka’s fan in Moldova help to increase bilateral trade? Igor Dodon, the recently elected Moldovan president who sympathises with Russia, has an affection for Lukashenka. He called the latter ‘an example for [Moldova] … in preserv[ing] all the best things from the USSR’. ‘The economy works like a clock, and there is a rigid vertical of power [in Belarus]’, Dodon said in an interview to Deutsche Welle. Belarus supported Dodon’s application for observer status at the Eurasian Economic Union, which was approved by the member states in April 2017. The head of Moldova’s executive branch, Pavel Filip, seems to harbour no grudge against the Belarusian government for having supported this initiative, which he called ‘a symbolic gesture’ with no legal consequences. Lukashenka and Dodon met in Bishek, Kyrgyzstan on 14 April, on the sidelines of the Eurasian Economic Council. According to Dodon, Lukashenka advised him to hold a referendum on introducing a presidential republic in Moldova to give the country's leader more power, according to the examples of Russia and Belarus. Dodon also announced in April that he would soon come to Belarus on Lukashenka’s invitation. The visit is tentatively scheduled for 13-14 July. Dodon’s activities as the new President of Moldova have apparently failed to affect Belarusian-Moldovan relations in any way, be it positive or negative. Dodon has little real power in the parliamentary republic, and Belarus prefers to work with those in charge. Even if he succeeds in bringing Moldova back to the ‘Russian world’, it would hardly help to strengthen Belarus’s economic position in Moldova. Thus, despite its apparent fondness for rhetoric about integration and Soviet nostalgia, Belarus remains quite pragmatic in its economic dealings.